When we said that AMD is going to announce a preliminary release date of Bulldozer processor, we meant it. Well, as “surprising” as it might be, they just did. 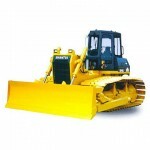 The desktop version of Bulldozer CPU (code named “Zambezi”) is coming in Q2 of 2011. The server version of Bulldozer CPU (code named “Interlagos” and “Valencia”) will start sometime in Q2 2011 with the launch targeted for Q3 of 2011.